Computer recognizes controller and calibration in mayflash setup works fine. But when I open GC pads on Dolphin it wont recognize under any of the devices, I get no response when trying to setup any of the buttons. I have the latest Mayflash driver installed but Dolphin isn't picking it up. Quote: when I open GC pads on Dolphin it wont recognize under any of the devices, I get no response when trying to setup any of the buttons. Then how did you get the right values in the image you took? Did you do that manually? I also remember mayflash having troubles with SDL, did you try the dirrectX option? Quote: Then how did you get the right values in the image you took? Did you do that manually? I also remember mayflash having troubles with SDL, did you try the dirrectX option? Those are the default values in dolphin im assuming. I dont have a dirrectX option, and none of the options respond with the mayflash. (01-31-2014, 06:22 AM)Scan Wrote: Those are the default values in dolphin im assuming. Huh, first I have heard of that, the default should be keyboard. You did try remapping them yes? Um, dinput is direct X Not sure if you tried but press the button on the screen and then on the controller. Do this for both SDL and dimput one should work. Also, any idea how to set the controller so I can do all the. Light shield etc. 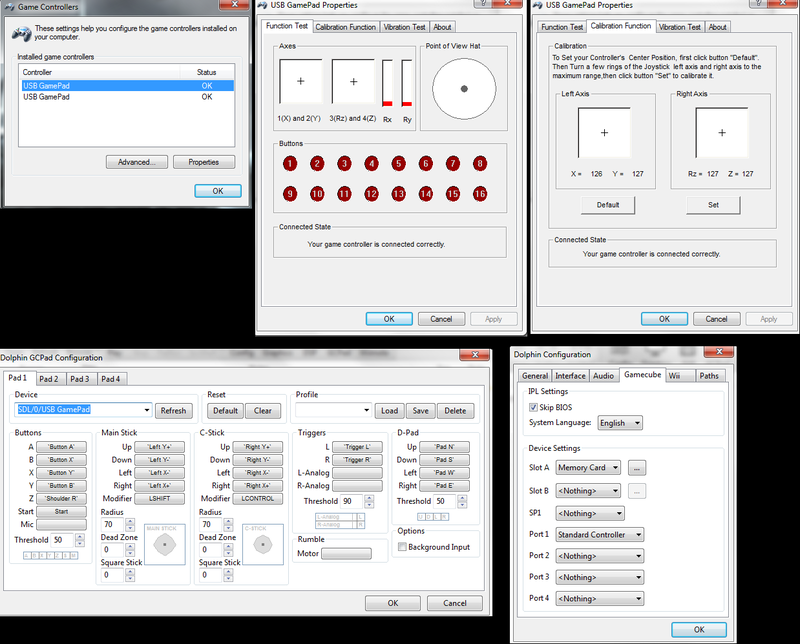 It only hard shields when I use L or R.
I think you mean L and R pressure settings. 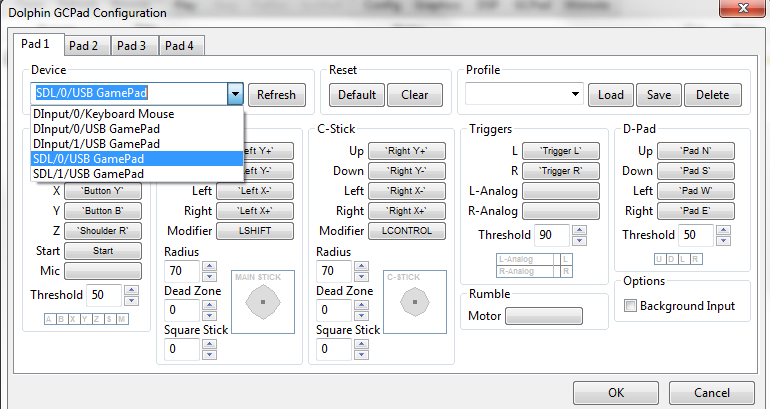 Look under the L and R assignments and make sure pressing L and R moves the analogs.